Strike the sweet middle ground between ‘random’ and ‘blocked’ practice activities. Provide a visual model of what you want the athlete to do. Provide Opportunities to Repeat (OTR). Provide more visual feedback of either the athlete performing the skill or a demonstrator correctly performing the desired skill. There seems to be a popular coaching model that encourages players to scrimmage a lot while the coach says very little. The assumption, I presume, is that players will improve with playing experience. Another model has teams scrimmaging a lot and coaches stopping the activity every 5 minutes to pontificate on their knowledge of volleyball. Neither of these models are a great teaching format and would certainly not fall under the model of skill development encouraged by Carl McGown. How many game-like contacts can a player execute in the time available? How can I, as a coach, promote repetition and feedback opportunities? One option is to create a bunch of drills that promote maximum contacts in a non-game like approach. For example, I serve 50 balls at each player. The players rotate every 10 contacts. This is termed a “blocked” activity. There’s value in blocked training where the player repeats a single skill, and there are also feedback opportunities. Blocked activities just can’t be the majority of your practice. Volleyball is a random activity where players must adjust to events with every contact of the ball. However, there’s a middle ground between blocked drills where the player just focuses on one skill and the randomness of a 6v6 scrimmage. The options are endless. The goal is to provide skill-specific repetitions that give players/positions sufficient opportunities to improve. 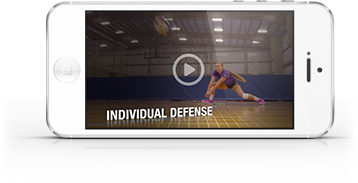 This also provides video and statistical opportunities for players to assess their progress. Also, the feedback that you can provide will be used immediately by the player since the format mandates immediate opportunities to repeat. Keep in mind that this type of practice format requires more preparation on the part of the coach to plan activities that allow for quality feedback and opportunities to repeat. Pat Riley, former coach of the Los Angeles Lakers, New York Knicks and Miami Heat, has said he would take 3 hours to plan a 3-hour practice. I’m not sure this type of preparation is a requirement for a club or high school coach, but the focus on opportunities to repeat and on video feedback does require preparation and planning. The athletes, regardless of skill level or age, deserve our best efforts to facilitate their improvement.